Annitta Frost, 17, says she loves her job. The cookies are baked in convection ovens in the kitchen of Saint Teresa and Bridget Catholic Church. Chocolate chip cookies are the top sellers at Angel Baked. Britinie Williams, 18, a senior at Gateway STEM High School, plans to become a paramedic when she graduates. Ariona Crawford, 18, takes a turn at the sink in the kitchen of North Grand Neighborhood Services. 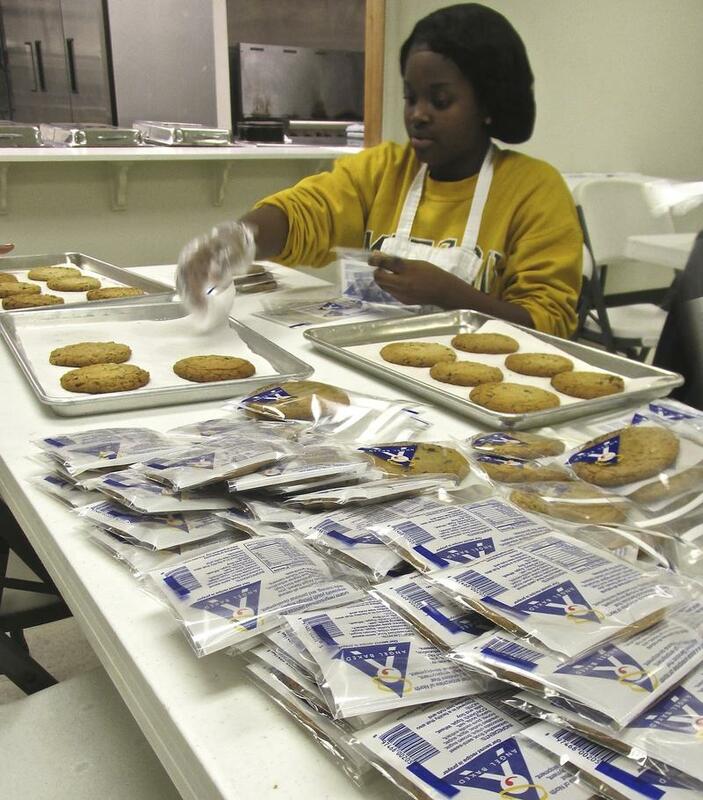 Zharria Squalls, 16, helps package the finished product, baked at Saints Teresa and Bridget Church. The first youths hired at Angel Baked helped design the logo and develop the cookie recipes. The teens are enthusiastic about their cookies made with all-natural ingredients — butter, pure vanilla and unbleached flour — and no preservatives. Listen to Mary's story about the angels and the cookies they bake. 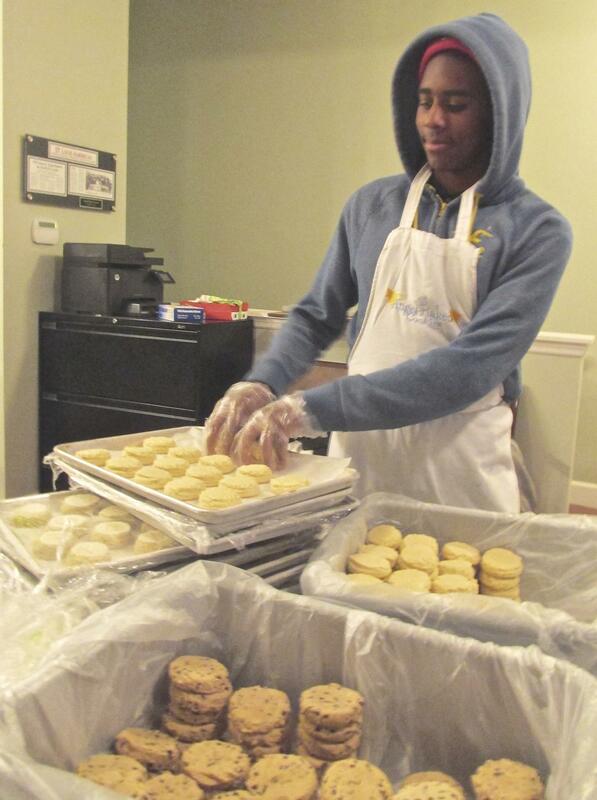 Darius Franklin, 16, says the cookies are delicious and "work is a good place to be." Darius said that an important ingredient is teamwork — that everyone works together. They usually make about 1,500 cookies a week at this baking operation, where “angel” really is a job title. During the holidays, production increases to about 4,000. The cookies are individually packaged and sold through the Angel Baked website and at local stores, including Schnucks, Straubs, Fields Foods and Local Harvest. Angel Baked was started in 2007 by the Rev. Gary Meier, then-pastor at St. Teresa and Bridget Catholic Church. It’s a program of North Grand Neighborhood Services, a nonprofit that partners with the church to develop affordable housing in the Jeff Vander Lou neighborhood, about a mile north of Grand Center. 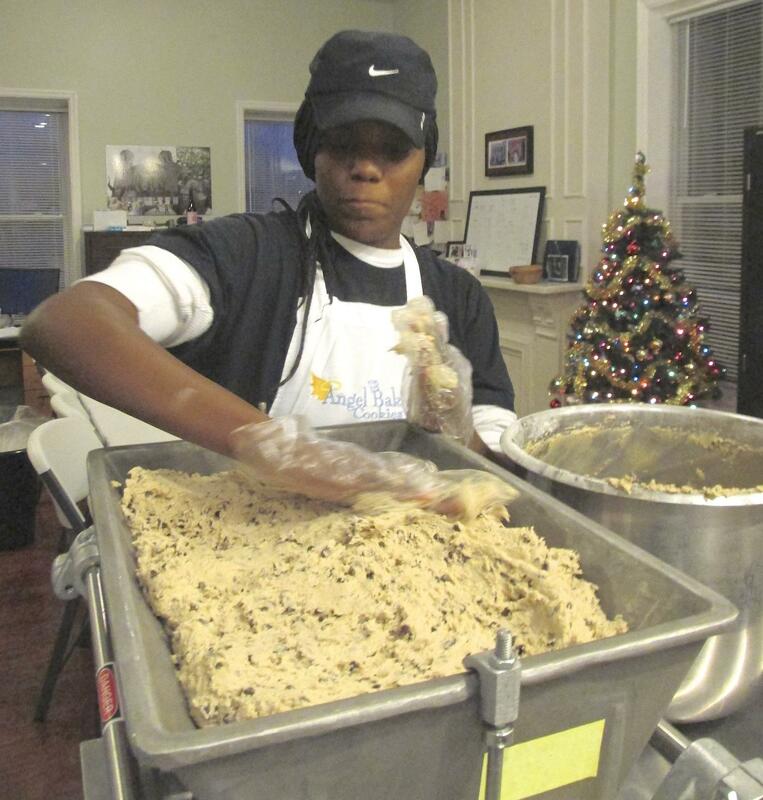 Angel Baked uses the kitchen of the nonprofit's office for dough making and convection ovens at the church for baking. Meier said Angel Baked was inspired by the “angels” themselves. Vickie Bailey smoothes chocolate chip cookie dough in the hopper of the "portioner,'' a hand-cranked machine that measures mini-cookies. 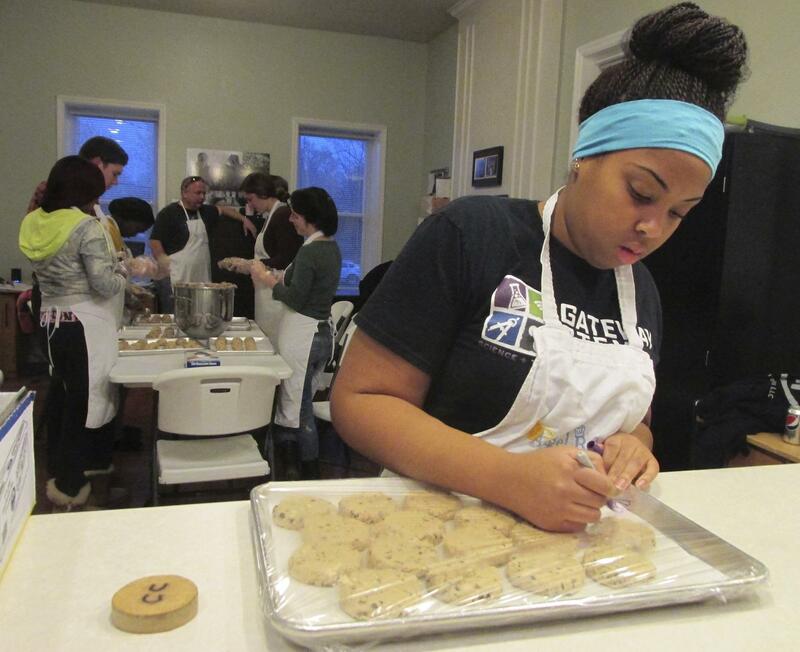 Angel Baked now hires about a dozen high school students a year. They’re paid minimum wage, and most work two shifts a week, from 3:30 to 6:30 p.m. The youths learn employment skills, including teamwork and customer service. The hand-operated portioner — and the industrial-sized mixer whirring at full speed in the next room — are about as automated as it gets at Angel Baked. Program manager Carla Jones oversees the kitchen’s efficiency — and friendliness. “She’s the head angel,’’ proclaimed Annitta. Jones said the cookies are fantastic — and so are the employees. Each workday begins with a 30-minute period of group reflection. The crew members sit together and talk about what’s happening in their lives. 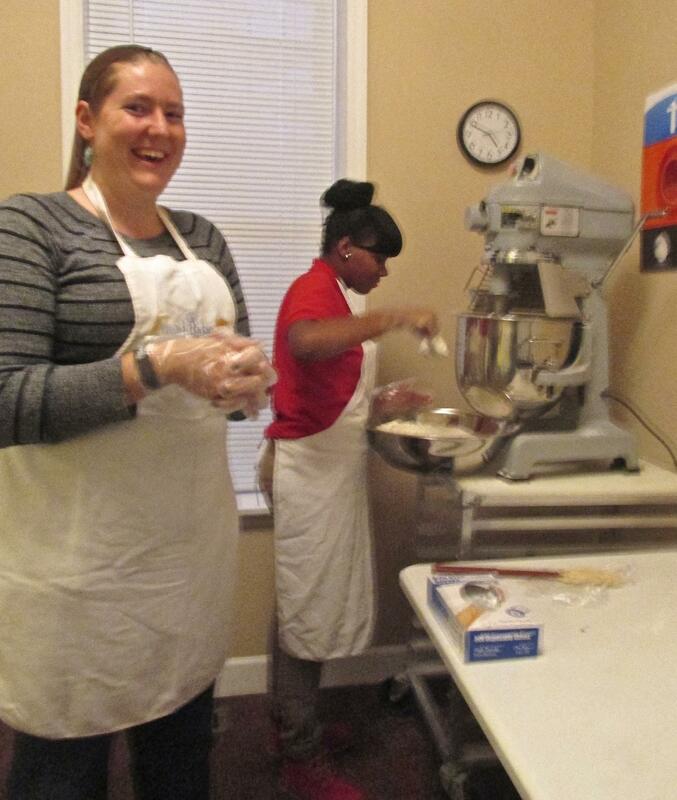 Program manager Carla Jones and Annitta Frost mix the dough. In recent weeks, the discussion has often centered around the grand jury decision not to indict Ferguson police officer Darren Wilson who fatally shot 18-year-old Michael Brown in August. Meier and Jones say their “angels’’ all graduate from high school. “Once they become an angel, they stay with us until they graduate,’’ Meier said. Annitta, who has worked at Angel Baked for about a year, kept her job after her family moved to Jennings. She rides the bus after school — a trip that takes more than an hour. “I love my job,’’ she said. Darius said he planned to spend his next paycheck on gifts for his siblings because his family is short on funds this Christmas. Angel Baked, which was recently honored with the FBI Director’s Community Leadership Award, depends on donations, in addition to cookie sales. In a quest to make job training count, the Obama administration is taking an interest in work-based apprenticeships. 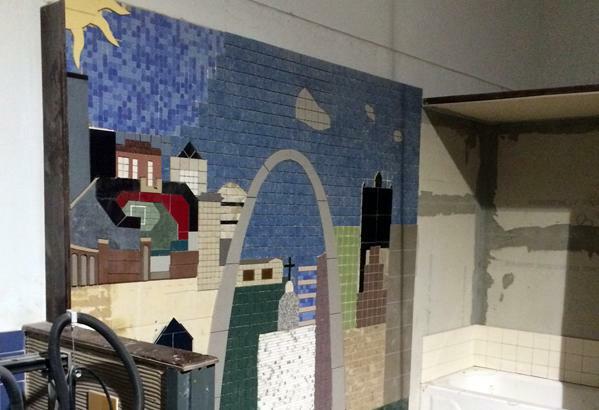 A St. Louis program is serving as a model for the administration. The White House is highlighting about 40 programs across the country that are doing it right under the so-called Ready to Work Initiative. Only one such program in Missouri has made the list, the St. Louis Carpenter Union’s Mid-Apprenticeship Program. It’s been almost trendy to talk about Ferguson’s young leaders lately, but youth leadership and community involvement is nothing new in the Ferguson area. 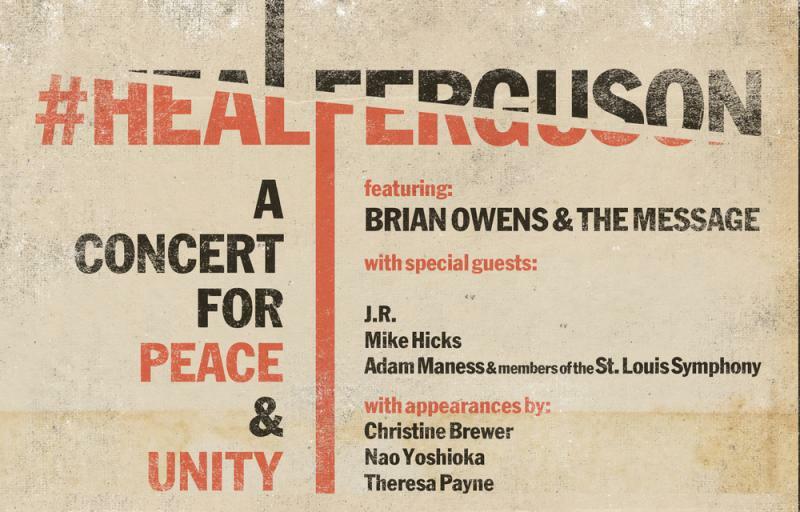 For nearly four years, the Ferguson Youth Initiative has worked to connect teens and young adults with community events and opportunities.